Do a quick search and you will discover a plethora of websites and articles filled with information for translators and interpreters in the life sciences. One of the principal challenges of translating for life sciences is the highly scientific terminology and lexicon associated with the industry. This vast network of information is constantly undergoing changes, growing, and being revised as new information is available. 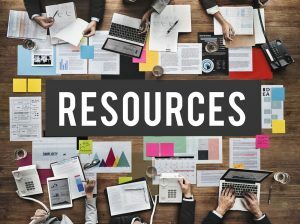 Here I have complied a list of just a few of the great resources there are out there. With a simple user interface, it is a great place to search abbreviations and definitions of various terminology. Also, you can quickly look up basic drug or equipment information. While this may be straightforward information, it is conveniently located all in one place making it a great site for you to quickly check something you are not quite sure of. This site is full of resources. Whether to research medicine, terminology or biomedical literature, it is a great place to start. They have conveniently compiled an extensive list of databases such as PubMed, ClinicalTrials.gov, TOXNET, etc. Though some of these may require a subscription to see complete articles (such as PubMed) they can often give you a great deal of information. It may appear overwhelming at first, but there is a wealth of up-to-date scientific knowledge and resources. The NCIHC consists of individuals who work as medical interpreters, trainers, clinicians, policymakers, and those who support the field. They offer an extensive variety of resources such as a Code of Ethics for interpreters, Standards of Practice, and continued learning opportunities. Here you can similarly locate information on upcoming events in the field, as well as a Career Center to help look for opportunities. Similar to above, at IMIA you can find resources and training, as well as a registry for interpreters. Within their resources, members have access to the IMIA Terminology Resource Database. This database includes information such as glossaries, terminology databases, etc. The Standard Terms database contains an abundance of knowledge for medical translators and interpreters alike. While you are required to register, this will allow you free access. Furthermore, the database was originally created by the European Pharmacopoeia Commission for use in marketing applications, product summaries, and labeling. Recently updated, the database currently is comprised of 34 languages. Here you will discover terms/definitions for pharmaceutical dose forms, methods of administration, etc. These guidelines aim at making smooth and efficient scientific communication. Recently updated in 2016, it is available currently in 20 different languages. The European Association of Science Editors, contains a variety of publications and toolkits which are worth looking into. I cannot express the importance of using proper gene and protein names enough. HGNC contains approved gene nomenclature, gene families, and resources. Here you can explore a wide array of useful information in the form of FAQ, tools, and links to numerous more genome databases. In conclusion, these are just the tip of the proverbial iceberg in terms of resources for translators and interpreters. There are countless online communities and forums for linguists to share glossaries, style guides, tips and tricks. In this fast-changing industry information is constantly changing. What are the resources you always turn to? Are you a translator or interpreter? Visit our careers page today to join our team! 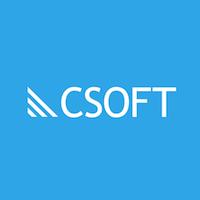 Visit CSOFT International’s social media pages on Twitter, LinkedIn, Facebook, WeChat, and Google +to stay up to date with all translation and localization news.